This is a continuation of the various posts I have made elsewhere on this issue for those who may have not seen them; as noted in Part I, it’s been a crazy busy week I was unable to update this blog. Reliable sources tell me there have been some key players in Jubilee who have been holding on to the belief Raila’s petition has no chance and that the Supreme Court will dismiss the petition and send Raila packing for Bondo while making it possible for their man Uhuru to be sworn in as our next president. After today’s pre-trial conference at the Supreme Court, the source tells me, the overall sense among these very same men is this case is not going anywhere near what they expected and they are basically resigned to the fact the Court will likely rule in Raila’s favor. The source would know; s/he just communicated this to yours truly after a “postmortem” gathering near a specific posh residential place he named with some of the players. The question is, are they going to accept and respect the ruling? Uhuru says he will, so has Raila promised he would so there is some good news in all of this. I just cannot fathom or even try to imagine a scenario where either side of the case does not accept the Supreme Court’s decision for the consequences will be dire but it’s safe to assume both sides know that as they have already signaled through their respective leaders only the most reckless of the most reckless will ignore that simple fact at their own peril for justice shall prevail in the end. You’re the ones crying already because you can sense it in the air as these key players do it’s only a matter of just a few days before the Supreme Court makes formal what is now widely believed and known that massive rigging took place on March 4 and after before the obviously compromised IEBC announced its bogus results that Uhuru won when he, in fact did not win not even close. 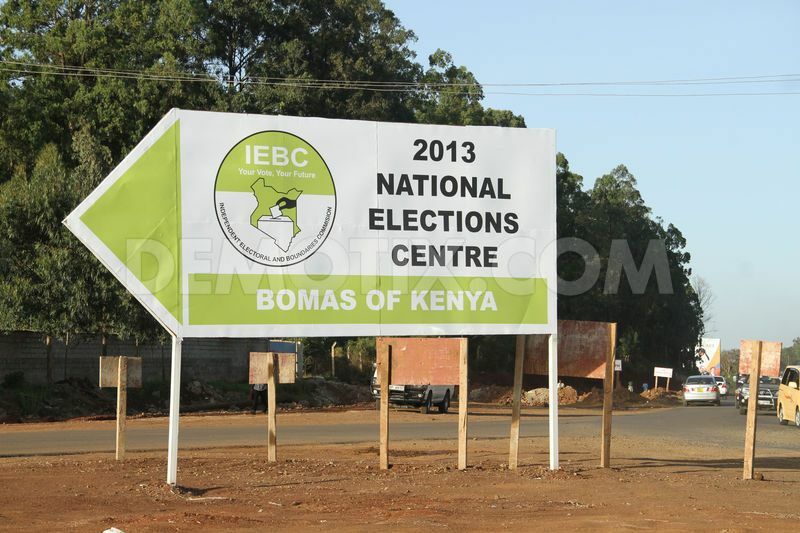 BTW do you know why IEBC is refusing to provide even the logs Cord has asked? I already provided an answer in a previous post…think; has to do something akin to suicide. Well, look for the SC to order the production of those logs unless in its judgment there is already more than enough evidence to prove the rigging judtifying the immediate nullification of the bogus IEBC results. You can say that again about us having an immense faith with the judiciary; that we do and so do most people, which is a good thing. That being said, I don’t know why you’re so excited about which numbers are going to be used when all that matters is as will be confirmed tomorrow in the re-tallying that in many polling stations, more people voted than the total number of registered voters for each of those stations. That’s really all Cord has to prove and if the number of thrown out votes because of that discrepancy is more than 8,0000 votes–and Cord says the number is in thr the tens of thousands, then out also goes the bogus results announced by the obviously compromised IEBC that Uhuru won when he, in fact, did not win or come even close. But there is more; there is the evidence of depression of numbers in Raila strongholds and corresponding inflation of numbers in Uhuru strongholds; provable tampering with the electronic system, including access granted to unauthorized people and worse people associated with Jubilee which there is no way on earth IEBC can explain that. ..and so on thus why this is a slam dunk for Raila and Cord in having the bogus results announced by the obviously compromised IEBC thrown out and a run-off or re-run ordered. The result of the retallying of the 22 polling stations alone will determine the outcome of this case. When Cord agents confronted IEBC with evidence of announced results that differed with presidential total from several forms 34s they had the real numbers as signed off by its agents, a fact two commissioners actually acknowledged, the Cord agents were kicked out of the tallying center and the obviously compromised IEBC went on to announce the bogus results that Uhuru won when he, in fact, did not win or even come close. Under the law, if the total number of votes cast as announced for a particular polling station is more than the total number of registered voters for that polling station, then the votes from that polling station are thrown out and not considered for the presidential tally. Raila and Cord need only show that to be the case and have only less than 8,000 votes tossed from Uhuru’s “win” column to have a run-off ordered. Raila and Cord’s position is there will be tens of thousands of votes thrown out from just the 22 polling stations re-tallying has been ordered. The Supreme Court has denied Raila’s application to admit into evidence an extensive affidavit of 839 pages detailing the massive rigging scheme and how it was carried out to his detriment. This I will admit is a significant setback to be saved only by the strength of the actual evidence presented besides affidavits and in particular the results of the re-tallying of the results from the 22 polling stations the court ordered. No massive irregularities need be found in the recount itself; just enough evidence to show there was rigging of even one vote and the whole thing is thrown into a run-off. Cord’s position is the evidence on hand is indicative of the massive rigging that took place and is confident there will be enough votes thrown out as a result of the recount alone to negate the 8000 votes IEBC falsely claimed Uhuru went over the required threshold of 50%+1. Even if that’s not the case, namely, even if no irregularity is found in the recounted 22 polling stations, there is still the scrutiny of all forms 34 and 36 which will certainly show the discrepancy between the numbers on those forms and what IEBC announced after cooking some of them. This is besides the issue of depression of Raila votes and inflation of Raila votes by corresponding numbers that’s also to be proven by statistical analysis now that the forensic auditing will not occur. As the SC said today, it has both registers and both sides are going to argue as to which one should be used to determine whether there was any mischief, including tampering. It’s a no brainer which register applies and that’s simply the one gazetted by IEBC as required by law and the reason IEBC is cooked becsuse that register was clearly tempered with after being gazetted. It’s already a known fact the obviously compromised IEBC cooked numbers and this will be established not just by the recount but the scrutinizing of all Forms 34 and 36. I have already said if the Supreme Court does not grant Raila’s petition, I’ll accept and respect the decision. I just don’t see that happening and it’ll be some kind of a miracle if it does happen given the abundance of evidence of rigging before the court. KM I know you’re snoring away but while you’ve been snoring, IEBC counsels Nyaoga, Paul Nyamodi and Mungai attempted to make their presentations defending the impossible. Nyaoga made a brief opening which was basically a lecturing of the justices on the law and blah blah they already know. Interestingly, while talking about law, Nyaoga said and I quote, “a body exercising constitutional and statutory in good faith cannot be displaced lightly and moreso on preconceived notions, historical perceptions, stereotyping or typecast” but he cited no authority for this proposition, meaning, which court other than him has said this. Such propositions are usually ignored by the judges and whatever other arguments flow from it and Nyaoga did try to tie some argument to this to no effect. Counsel Nyamodi spent a considerable amount of time trying to justify the mess with the registry senior counsel Oraro says to this day we don’t know how many registered voters we have in Kenya thanks to the mangling, tampering and manipulation of the registry by Hassan and other mandarins at IEBC. Nyamodi did the best he could but in the end did not address the evidence and facts petitioners put forth yesterday. Counsel Mungai was next addressing the inconsistency of numbers and failure of ICT. One has to give Mungai good credit for articulating and emphatically so, a number of fake arguments. I counted at least 3 such fake arguments otherwise known as straw man arguments. For example, Munga claimed if the Court were to find that the illegal special register created by the mandarins at IEBC is, in fact, illegal, then according to Mungai the Court will be disenfranchising 36,000 people with disabilities such as no fingers, etc. Now, this is a classic straw man argument because the issue is not whether people with disabilities should be allowed to vote; rather, the issue is whether IEBC created an illegal register of voters and the petitioners have shown that they did. That being the case, the credibility of the presidential elections cannot be said to exist here and thus one more reason this is headed to nullification. The law is very clear the register once gazetted is final and cannot be amended or adjusted except in one instance not applicable here. IEBC counsel admits amendments and alteration of the register was done after Dec 18 and claims IEBC had authority to do so! Counsel Omondi denies there was additional registration after December 18 when the evidence shows to the contrary. Counsel Nyaoga is arguing that what the petitioners seek as a remedy is impossible; this is is an odd argument; so we accept rigging? Counsel Oraro: had IEBC addressed shortcomings system pointed out to it long before the elections, we could not have had the flawed election. A simple question to you, how do you expect to influence and bring about desired change (I don’t know what YOU desire) by these blogs of yours? Because at the end of the day, that is what communication is all about?